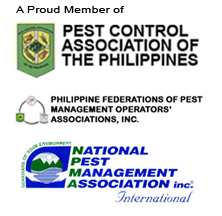 It was about a year ago when Bio-Tech Environmental Services Philippines Inc. began to prepare for the next growth surge in this pest control company’s remarkable 18-year history by taking in Dr. Henry T. Facundo, entomologist and co-founder of InsectExperts.com, as pest management, technical and ISO consultant. There was a meeting of the minds and hearts between President and General Manager Hector D. Binwek and Dr. Facundo in a brief discussion during the First Pest Management Symposium for Pest Control Owners and Managers organized by the Philippine Federation of Pest Management Operators’ Associations, Inc. (PFPMOA) and held in the University of the Philippines Diliman, Quezon City in Metro Manila where the latter presented pest management updates and his vision for urban pest management, particularly the pest control industry in the Philippines. As explain by Dr. Facundo in the above model that he also presented during the opening day plenary session of the 42nd Pest Management Council of the Philippines Scientific Conference in Bacolod City, Negros Occidental in Visayas, the new paradigm places pest control in the center of the intersection of public health, food safety and property instead of the periphery of these separate sectors of society. The emphasis is on protecting the modern lifestyle, which is being defined as urban living and mobility. 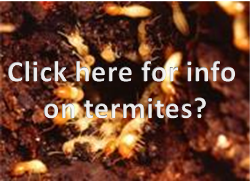 With concentration of people and resources in urban centers and frequent exchanges of people and materials among these centers, there would be more opportunities for pest problems to occur. Therefore, pest control is regarded as inherently part of modern living as its defender, as protector of health and home, and as provider of solutions to pest problems. 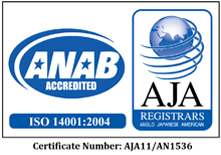 In the subsequent months, a clearer vision for the company and a strategic plan to achieve it were developed. More news and features will come your way in the next blog posts as we highlight activities, including trainings and system improvements, to help the company meet the challenges of this new paradigm for the pest control industry. So stay tuned, or better yet, subscribed to our RSS feeds or follow us via Twitter or like our Facebook page using the boxes and buttons at the left sidebar.